The S.C. Natural Resources Board recently approved migratory bird hunting seasons for mourning doves, marsh hens (rails), woodcock, snipe, moorhens, purple gallinules, and early seasons during September for teal and Canada geese. The 2013-2014 seasons must still meet approval by the U.S. Fish and Wildlife Service and be published in the Federal Register in order to become final. For more information, visit the DNR website or write to Early-Season Migratory Birds, DNR, PO Box 167, Columbia, SC 29202, or call (803) 734-3886 in Columbia, The annual Migratory Bird Hunting Regulations brochure will be available in early September after the regular duck seasons are finalized. The 2013-2014 mourning dove season in South Carolina is Sept. 2-7 (noon until sunset); Sept. 8–Oct. 5; Nov. 23-30; and Dec. 19–Jan. 15. Legal hunting hours for mourning dove season, except for Sept. 2-7, are from 30 minutes before sunrise until sunset. The daily bag limit is 15 birds per day. Dove season traditionally opens on either the first Saturday in September or on Labor Day, whichever comes first. Under the Migratory Bird Treaty Act, seasons for migratory game birds cannot begin before Sept. 1. The two-part season for marsh hens—including king, clapper, sora and Virginia rails—and common moorhens and purple gallinules will be from Sept. 18-22 and Oct. 5–Dec. 8. The daily bag limit for king and/or clapper rails is 15 birds per hunter and moorhens and/or purple gallinules is 15 birds per hunter. The daily limit for sora and/or Virginia rails is 25 birds per hunter. Shooting hours are 30 minutes before sunrise until sunset. The 2013-14 South Carolina season for woodcock will run Dec. 18 to Jan. 31. Three birds per hunter is the daily limit for woodcock. Shooting hours are 30 minutes before sunrise until sunset. The 2013-2014 season for common snipe, also called Wilson’s snipe, will be Nov. 14–Feb. 28. The daily bag limit is eight birds. Shooting hours are 30 minutes before sunrise until sunset. An early season for Canada geese will be Sept. 1-30. This season is statewide. Shooting hours are 30 minutes before sunrise until sunset. The daily bag limit for Canada geese during this early season is 15 birds. The South Carolina early season for teal will be Sept. 14-29. The daily bag limit is six birds. Shooting hours are sunrise until sunset (not 30 minutes before sunrise, as with other migratory bird seasons). 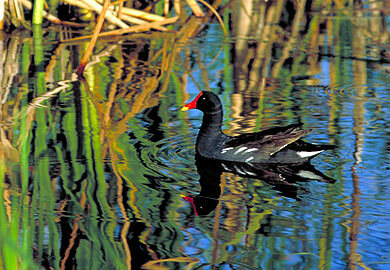 Category II waterfowl areas will be open for hunting during teal and Canada goose seasons. All possession limits for the coming migratory bird season will be three times the daily bag limit as opposed to two times the daily bag limit as in the past. South Carolina migratory bird hunters age 16 and older must have a state hunting license and a free migratory bird permit. Additionally, participants in the September Canada Goose season and the early teal season must have the Federal Waterfowl Stamp and SC Waterfowl Permit. Completion of an approved hunter education course is mandatory for resident and nonresident South Carolina hunters born after June 30, 1979, to purchase a license, and voluntary for older and younger hunters.